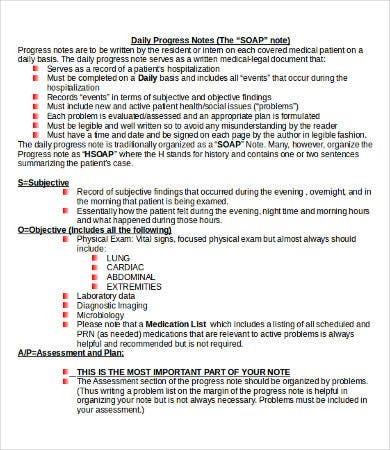 SOAP (subjective cues, objective cues, assessment, and planning) is a tool that most health care providers use when dealing with patients. It involves taking the patient’s verbal cues regarding his/her condition and getting their vital signs (temperature, heart rate, breathing rate, blood pressure), making an assessment based on their condition, and a plan of care. 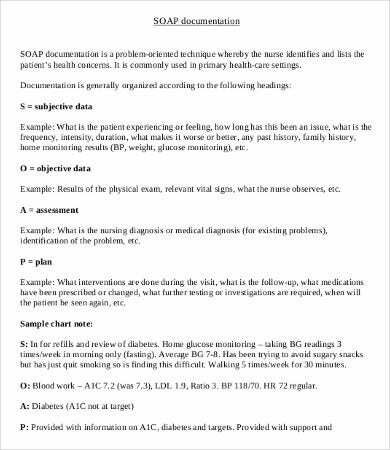 Based on this, the providers can then render the appropriate interventions to the patient, and after which, an evaluation will be made to determine whether or not there has been an improvement in the patient’s condition. 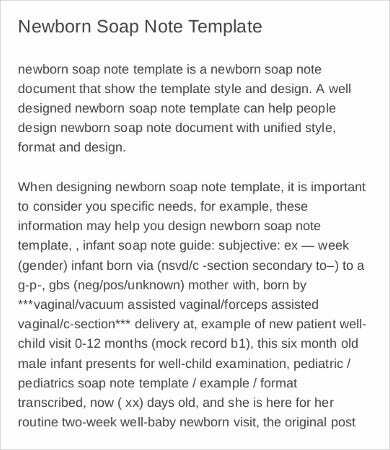 On our website, we provide you with note templates utilizing the SOAP format to be used by nurses, nursing students, doctors, dietitians, therapists, and any health care professional directly handling patients. 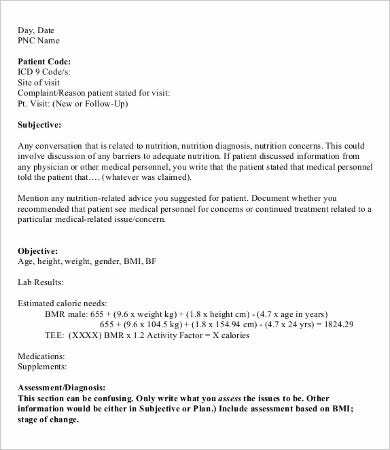 The templates have been readily made, and a generous amount of space is provided for you to write the information you need gathered from the patients. Subjective cues. 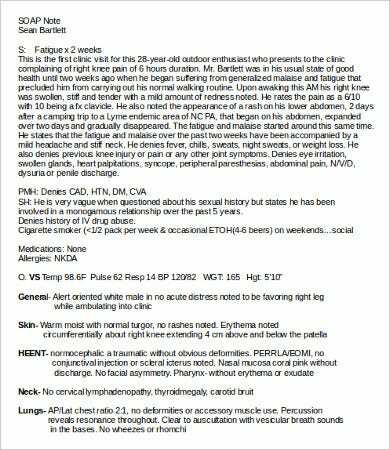 Bot verbal and nonverbal information gathered from the patient. You may write the verbal information word for word. Objective cues. The temperature, heart rate, respiratory or breathing rate, and blood pressure. Assessment. 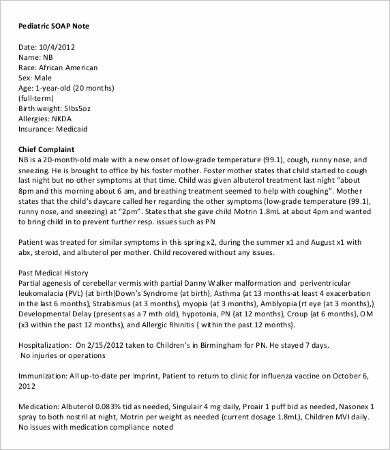 Usually the nursing diagnosis based on the data gathered from the patient. Planning. 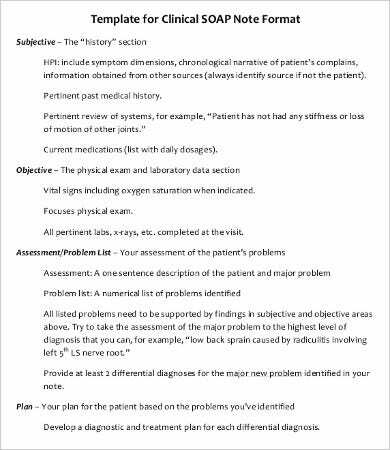 Plan of care for the patient which should be addressed to his/her present condition. 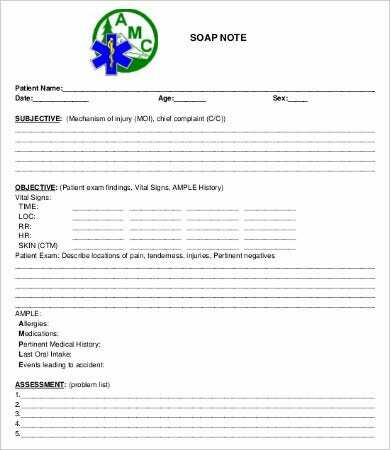 Through the use of SOAP, providers will have an idea on what the patient is feeling and can plan ahead on what to do for their patients’ condition. 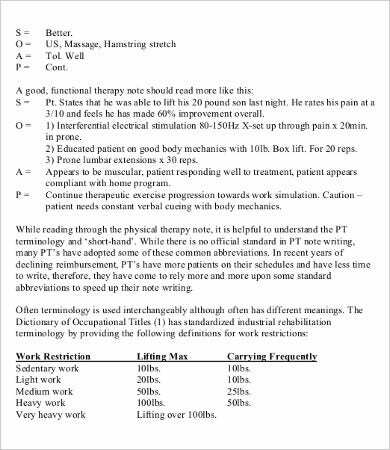 After which, providers can also then record the interventions performed on the patient and evaluate the effects of the said actions. Providers can then compare the expected outcome with the actual results. For physical therapists, to help them determine the muscular capabilities and the motor skill of the patient, we also have templates to be used specifically on pediatric patients and another one to be used on newborn patients. 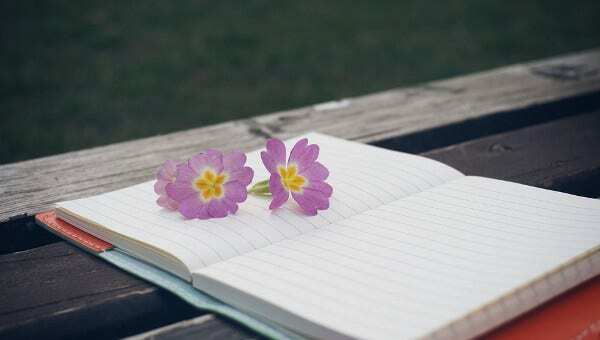 We have daily SOAP templates, and we also have a simplistic blank templates, which give the writer more freedom on what to write. For templates about handling conflicts and issues, check out our collection of Briefing Note Templates. 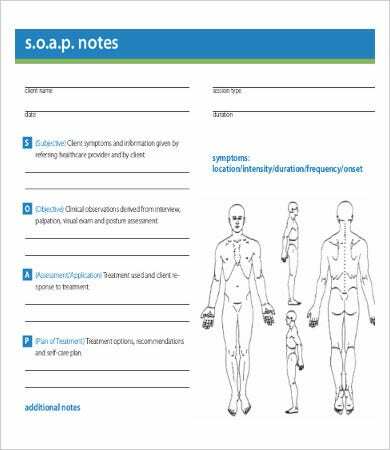 These SOAP notes templates have been made to suit any health care provider’s needs. They can easily be downloaded from our website, free of charge. They come in Doc, Docx, and high-resolution PDF formats and are fully editable. Simply download the template on your computer and print them on a regular coupon bond. If you are looking for other templates, our website also has Credit Note Templates. For even more templates to choose from, scroll to the bottom and feel free to check out the links to other templates that we provide on our website.